Yesterday, I braved the wintry conditions to check out the Copenhagen Rally at Manchester Central (GMEX to you and me). More than 500 Mancunians turned up to quiz an expert panel about environmental issues on the eve of the Copenhagen climate summit. On the panel was Manchester City Council leader Sir Richard Leese, Co-operative chairman Len Wardle, Guardian writer John Harris and Friends of the Earth campaigns director Mike Childs. But star billing was given to Ed Miliband (on Twitter as @edmilibandmp), secretary of state for climate change (@DECCgovuk), in his last public meeting before Copenhagen. One of the things that struck me was that the same question kept coming up again and again – namely, how environmental campaign groups can get their message across to the general public. As it happens, the answer may have been close at hand. So close, in fact, that it even made a cameo last night. It transpired that at least one audience member was tweeting live from the Copenhagen Rally. 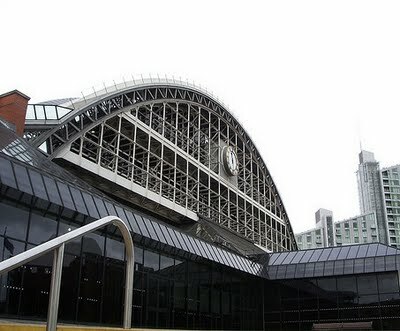 There may have been 500 packed into Manchester Central (a record for a Manchester climate event, incidentally) but how many hundreds more were following on Twitter? Furthermore, this Mancunian passed on a question from the Twitosphere to the panel, which was duly answered and relayed back in 140-character bursts to her followers. It should go without saying, but these are by no means exhaustive lists. There are many more environmental organisations on Twitter, along with eco-minded Mancunians, local councillors and MPs. But the above are good examples of how Manchester-based organisations can use Twitter to market themselves and get their message across. They are by and large updated regularly. They contain a good mix of relevant industry news stories, self-promotion and interaction with the wider world via mentions and retweets. And best of all, they keep you in the loop without having to brave those notorious Manchester winters.